Nobody is here to fulfill your ideals of how he should be. You are the master of your own love and you can give as much as you want but you cannot demand love from another person. Yes, the rules are simple but to sink them deep into your mind is not a simple task. The first rule is the simplest. We came alone into this world and will be leaving alone.We transverse the journey of our life alone. All that people can provide is a false impression that they will be there forever. We are all separate individuals swimming across the turbulent water, trying to reach our destination. Don't always expect people to come up to your help when you are trapped in the undercurrents. Who knows, others might be battling their own private battles at the very same time. The second rule is more insightful. We all have expectations from people, we have a preconceived notion of how a person is or should be. But its not always correct. Your ideals about a person don't necessarily have to be the way the person is and you cannot demand it from them. All that you can do is accept the person for who he really is. Giving space for other's individuality is a very important factor in any relation. You cannot expect everyone to behave in the way you want them to. Understand it and move on with life. The last rule is the easiest to understand and the most difficult to implement. Our love is very often, a give and take institution. Most of the people feel that they have a right to expect back love in a quantity proportional to what they are giving out. That is selfish love. Love is a weird thing. It comes naturally to us but most of us don't know how to love. The way I express my love will not be the same way in which you express it. A person would naturally be expecting someone to love him the way he understands it. This leads to misunderstandings which brood discomfort and problems. All this is absent in selfless love. Selfless love is the purest form of love in which you give and give, never expecting a thing from others. It is not an easy task at all. But once you have learned to love that way, life would become a lot easier and fulfilling. At this point, you might ask me if I follow these rules. I'm a student of life. I try out these so called rules searching for the ones that suit me the best. 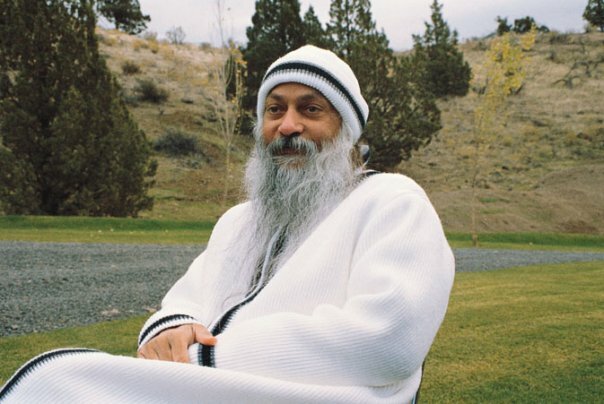 Of all the things Osho said, there was one that I personally loved. Don't blindly follow the rules of anyone.Question them. Learn from life, explore and make your own rules...! It had been raining all day and like the rain drenched earth, her mind felt damp and icy. There are things that time can't erase. Some memories stay on forever.. Two years had passed and even now, rain made her cry. She found it difficult to hold back the tears that rolled down her cheeks, a downpour in itself. The rain beating down the roof brought back a swirl of memories. His face.. A small dimple forming in his cheek as he swept away the soft hair that wind pulled down across his forehead. The way he tilted his face as his eyes closed for a second to wink at her.. It was raining the first time they met.. The heavy rain had delayed his flight for two hours. Even though he had to wait at the busy airport amidst a milieu of bustling people jostling for space, he dint mind it a bit. It was going back to that city, that he dreaded. Not long back, the very same city was close to his heart. It had given him everything he held valuable in his life.. his friends, his family, his flourishing career, his first love.. A jolt of pain cursed through him at the thought of her, his throat felt dry and parched.. The sweet fragrance of her body, the smell that he loved above all. Her touch, gentle and firm. He yearned for it, once just once to see her smiling at him. To feel his stomach doubling up, a feeling he hadn't felt since he last saw her. Her office was buzzing with noise-the beeping printers, ringing phones and incessant talking. But as usual, she dint notice any of it. Life had become a routine. Wake up in the morning, make breakfast, call mom and listen to her patiently as she goes on filling her on the latest gossips or about the 'handsome, educated,six figure salaried boy' looking for a bride.. She hardly listened to any of it. At office, she didn't talk much.. She kept herself busy all the time.Often the fact that she was becoming a workaholic had crossed her mind. But the thought didn't scare her. The only thing that scared her was her buzzing phone. Every time it rings, her heart leaps up in anticipation. She hesitates a second before looking at the screen. Hoping for a second that it would be him. But like the rain outside her office window, her hopes had also started dieing..
As the car sped through the highway, rain had stopped outside, leaving a trail of droplets on the window. He flicked through the photos in his cell. There was her, in a white salwar, holding the rose that he had given her on their first valentines day. He remembered every second of that day so well as if it had all happened yesterday. How she had lied to her hostel warden to go out with him, how she had draped her dupatta over her head with one hand and clenched his shoulder with the other as they drove through the city. She looked like an angel, standing there among a bunch of flowers in that park. It was the day he had gifted her the silver ring with a small heart engraved in the metal, the very ring that she threw at him the day they parted. Shuffling through his contacts, he stopped at her name,his thumb poised over the green button. "I don't want to see you ever again. Get lost you cheat..I hate you" her words ringed in his mind. Sitting up in the couch she flipped through the channels. A chat show was going on where the host was guffawing over a joke cracked by her guest -pop- "the heavy rain has caused havoc in the city and the traffic has come to a standstill", a news reporter was shouting into the camera as rain rolled in the background -pop- a latest film song was playing with the scenes showing the hero and heroine dancing away in exotic locations -pop- pop- pop- The scenes flickered but she didn't pay attention to any. Sleep was again evading her and she had nothing else to do. Switching off the TV, she went to her bedroom and took out a silver ring from her drawer. As he walked away, she had picked it up from the ground. Through those watery eyes, she had stared at him walking away from her, calling out to him but words stopping at her throat. If he loves me, he'll turn back, she told herself stubbornly. But he dint. She waited till he disappeared and the sun had sunken low. The world moved about her but she never left that spot ever again..
Few kilometers away, a bolt lighted up the dark room where she lay cuddled.Her cries got muffled on the wet pillow..